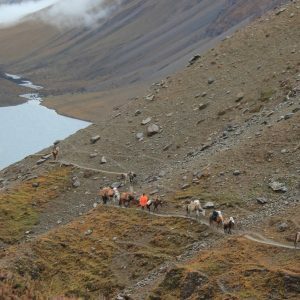 Jomolhari Trek is the shortest of the Jomolhari trekking routes, which are the most popular treks in Bhutan. 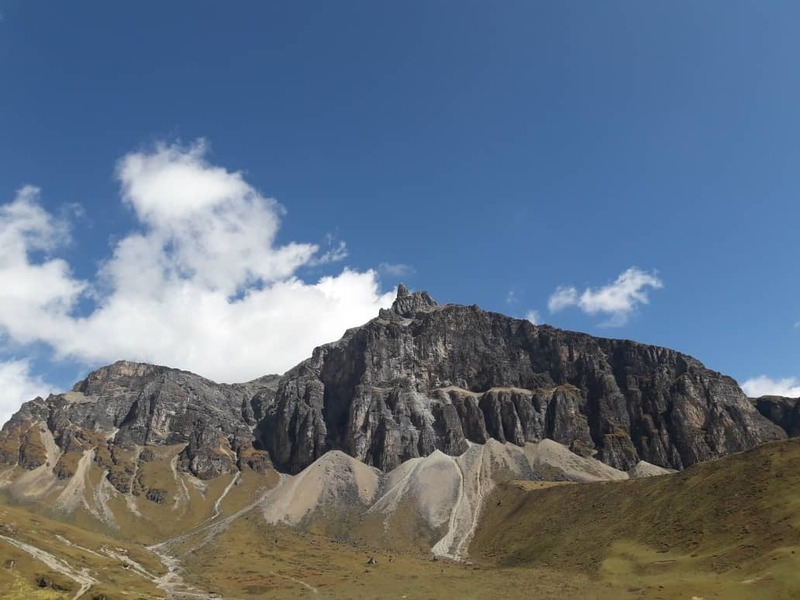 With altitude differences of 2,500m and nearly 5,000m it offers a wide range of landscapes, fauna and flora. The highlight of this trek is the spectacular view of Mount Jomolhari from Jomolhari Basecamp (Jangothang). 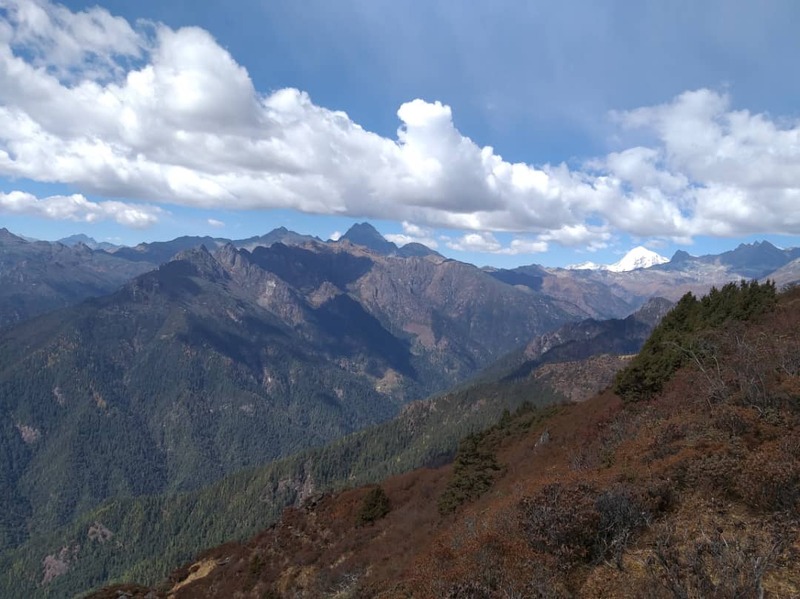 Trekkers who want to avoid high passes and high altitude can chose an easier version of the Jomolhari Loop by retracing their steps from Jangothang (see days 1-3), while still having the majestic impressions of Mount Jomolhari. 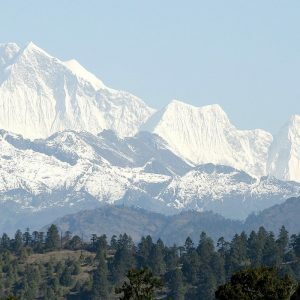 The flight to Paro is one of the most spectacular mountain flights in the world, with a constantly changing panorama of some of the highest mountains on earth. Our Bhutan Travel Bureau representative will meet you at Paro airport. After lunch enjoy afternoon sightseeing around Paro, including a visit to the National Museum, Ta Dzong. This museum houses many religious relics, works of art and handicrafts offering a great orientation into Bhutan’s historical and cultural past. Next, visit the Rimpong Dzong to see the painting of the great saint Milarepa, considered as the master of meditation by the Bhutanese and believed to have attained enlightenment in a lifetime. Dzong’s are large monasteries and district administrative centres, which were once strategic forts. Afterwards walk to the beautiful cantilever wooden bridge still in use. 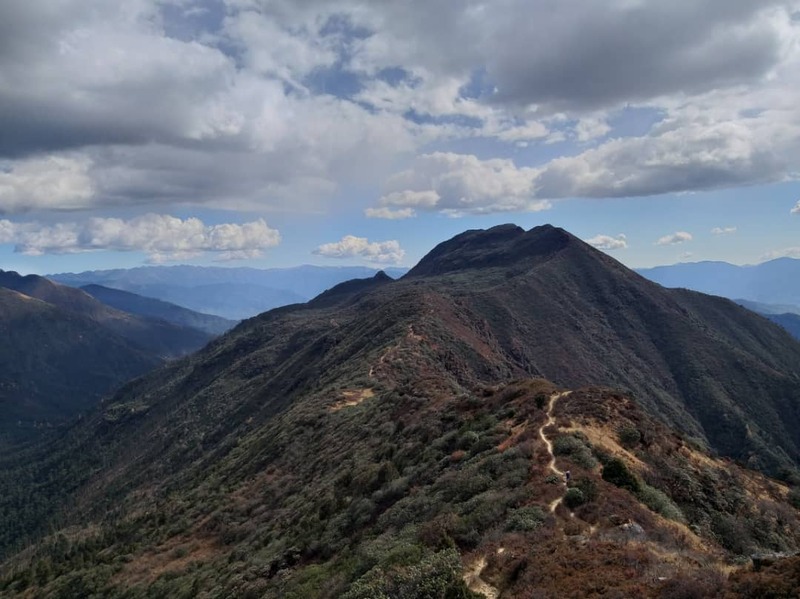 The trek starts from Drukgyel Dzong (2580m) with a short downhill walk on a wide track. The trail then climbs gently through well maintained rice terraces and field of millet. Later on we come to apple orchards and forests. Soon the valley widens, and we reach the army post of Gunitsawa (2810m). This is the last stop before Tibet. 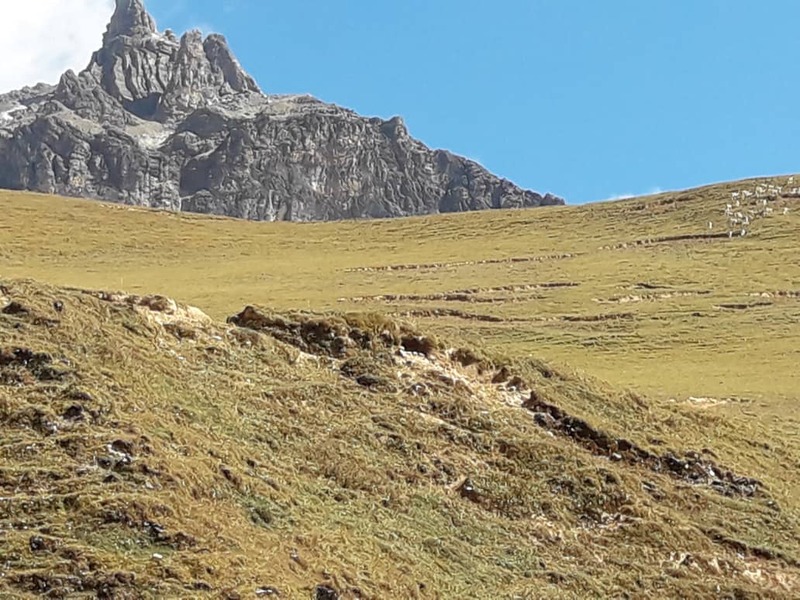 We continue upwards to just beyond Sharma Zampa (2870m), where there are several good camping places in meadows surrounded by trees. The trail again follows the Pa Chu (Paro river), ascending and descending through pine, oak and spruce forest .After crossing a bridge to the left bank of the river, we stop for lunch. 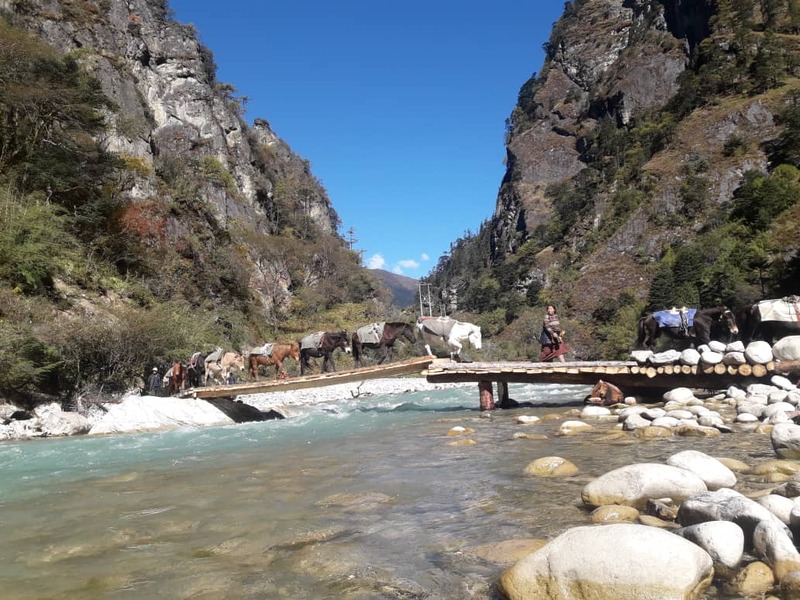 Then continue along the river, climbing upwards through Rhododendron forest, and crossing the river once more before reaching the campsite (3750m). The path ascends for a while until we reach the army camp. We then follow the river above the tree line, enjoying stunning views of the surrounding peaks. Hot lunch is served at a yak herder’s camp. 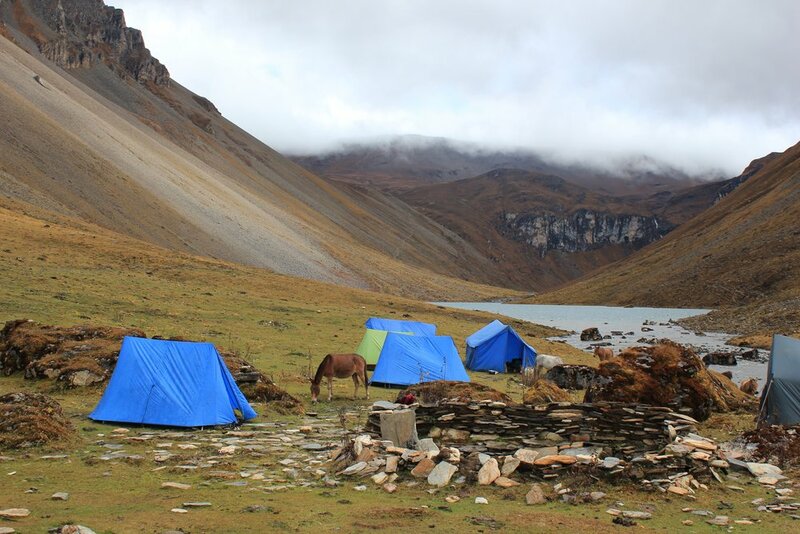 A short walk from here into the valley takes us to our campsite at Jangothang (4040m). From here the views of Chomolhari and Jichu Drake are Superb. The trail follows a gentle stream for half an hour and crosses a bridge to the right bank. We now start our climb up the first ridge, enjoying breathtaking views of Chomolhari, Jichu Drake and Tserimgang. The trail then takes us across a fairly level valley floor until the climb up to Nyele-la Pass (4700m). We descend gradually enjoying a panoramic view of the mountainous peaks and Lingshi Dzong from the pass until we reach our campsite at Lingshi (4000m). 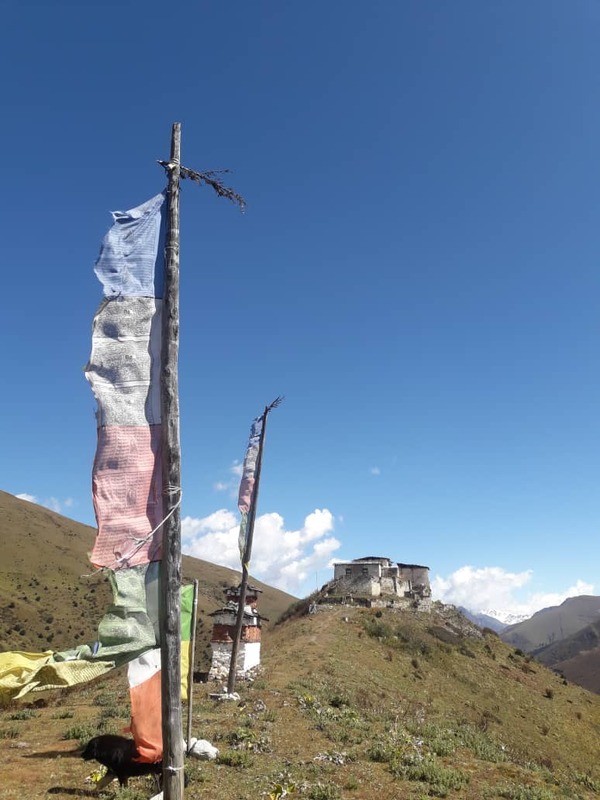 Our trail climbs up towards a small white chorten on a ridge above the camp, then turns south up the deep Mo Chu valley. The trail stays on the West side of this largely treeless valley, climbing steadily a short distance above the Mo Chu. It then crosses the river, and climbs steeply for two hours to Yeli-La (4820m). On clear day you can see Chomolhari, Gangchenta, Tserimgang and Masagang from this pass. The trail then descends alongside a stream to a rock shelter in a cliff face. It then continues on downstream until reaching Shodu (4100m), where we will camp in a meadow with a chorten in it. Our path follows the course of the Thimphu Chu, descending through Rhododendron, Juniper and mixed alpine forests. There are stunning views along the way. We stop at the riverside for a hot lunch. Then the trail takes us gradually upwards to the ruins of Barshong Dzong (3600m), near which we camp for the night. The trail descends gently through a dense forest of Rhododendron, Birch and conifers, then drops steeply to meet the Thimphu Chu. The trail runs along the left bank of the river, climbing over ridges and descending into gullies where side streams run down into the river. The final stage of the trail climbs around a cliff face high above the Thimphu Chu, coming out onto Pastureland where we camp for the night at 3600m. The trail winds in and out of a side valley above the Thimphu chu, making a long ascent through a forest of conifers and high altitude broadleaf species to a pass at 3510m. The trail then drops steeply down to the river, following it southward to the road head at Dodena (2600m). Bhutan Travel Bureau transport meets us here, and we drive to Thimphu. Enjoy sightseeing in Thimphu beginning with a visit to the National Memorial Chorten depicting the Buddhist faith in the form of paintings and statues. This temple was first initiated by the Third King as a protection from the negative elements of modernization. The Royal Queen Mother completed it as a memorial stupa for the third King who passed away in the year 1972. Other highlights include the 12th Century Changangkha Temple, Drubthob monastery housing the Zilukha nunnery, the School for Arts and Crafts where the students are taught to master the 13 types of Bhutanese art, the National Library housing a collection of Bhutanese scriptures dating back to the 8th century, and a fascinating replica of a medieval farmhouse at the Folk Heritage Museum. In the early evening depart for Paro.